Editor’s note: Keeping your kidneys healthy is a crucial issue for millions of people. Here, from the experts at the National Institute of Digestive and Diabetes and Kidney Diseases (NIDDK), one of the National Institutes of Health, is what you need to know. The steps you take to keep your kidneys healthy help the rest of your body too. Talk to your health care provider to find out the steps that are right for you. If you are at risk for kidney disease, the most important steps you can take to keep your kidneys healthy are getting your blood and urine checked for kidney disease and managing your diabetes, high blood pressure and heart disease. Keep your blood pressure at the target set by your health care provider. For most people, the blood pressure target is less than 140/90 mm Hg. 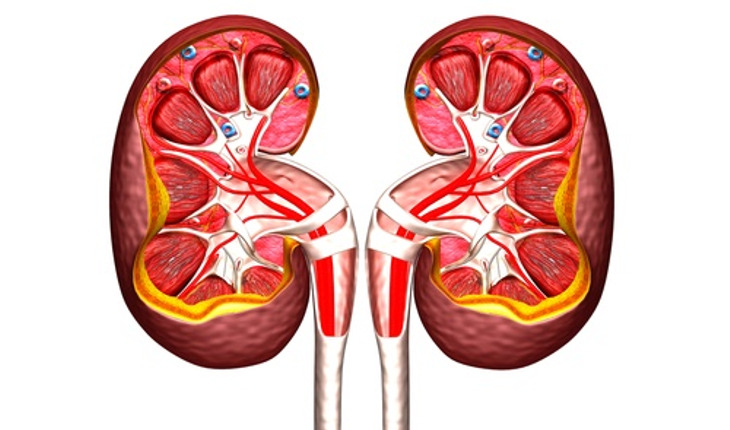 This can delay or prevent kidney failure. Cut back on salt. Aim for less than 2,300 milligrams of sodium each day. Click here for advice from ThirdAGE on how to reduce your salt habit. Early kidney disease usually does not have signs (a change in your body) or symptoms (a change in how you feel). Testing is the only way to know how your kidneys are doing. It is important for you to get checked for kidney disease if you have the key risk factors – diabetes, high blood pressure, heart disease, or a family history of kidney failure. It is also important to have your blood pressure checked. High blood pressure can be a sign of kidney disease. Keep your blood pressure at or below the target set by your health care provider. For most people, the blood pressure target is less than 140/90 mm Hg. What is my urine albumin result? What is my blood glucose (for people with diabetes)? The sooner you know you have kidney disease, the sooner you can get treatment to help delay or prevent kidney failure. If you have diabetes, get checked every year. If you have other risk factors, such as high blood pressure, heart disease, or a family history of kidney failure, talk to your provider about how often you should be tested. This article originally appeared on the website of the National Institute of Digestive and Diabetes and Kidney Diseases. For up-to-date information on more of those health issues, click here to visit the Institute’s website.